I am no average White man. I am the original White man. I am all White men. All the dead ones. The nearly dead ones. The just born ones. We are one. Brothers because of the skin, not because of what’s underneath. This was inevitable, my claiming Whiteness. ​I never gave it much thought. That was my privilege, they say. And, I believe it was. It was my privilege to not consider my race. It was as plain as the air. As plain as a tree. Unspoken. No need to state the obvious. “What now?” I ask. Now that I’m White. 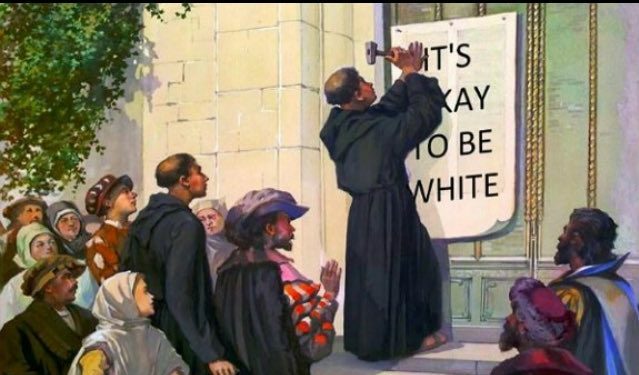 Is it alright to be White? Is it right to be White. I guess it depends. On whether you want me to keep thinking about being White. If you do, there will be no turning back. No unlearning what it means to be White. To be alright. To be right. Because I’m White. I’d forgotten what that meant. But the memory is always there, as deep as the skin, bone, and blood underneath. As deep as the deepest memory. Whether the memory is mine or not, it is a shared memory, by all of my kind. Now that I have a kind. I’d forgotten that. But no longer.